Just over a year ago I posted about charging stations in Nashville being ‘thin on the ground’ with just two charging stations available in the greater Nashville area. 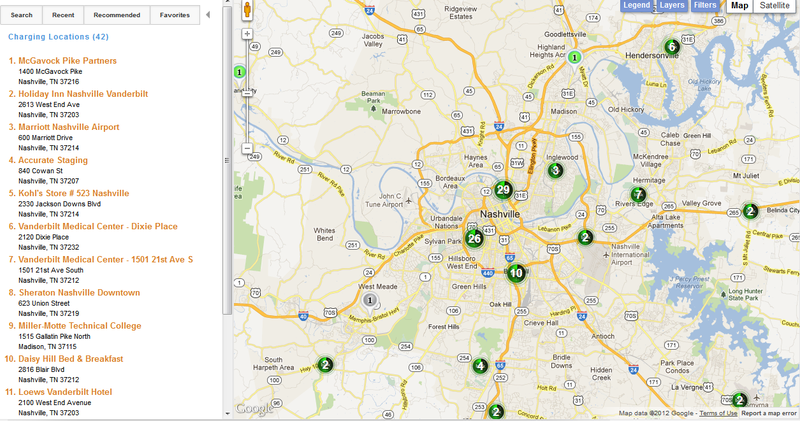 Well just over a year later and in the same geographic region there are over 40 stations are now available. The reliability of the units has improved dramatically in Q1 2012. New firmware was introduced to solve software lock ups as well as some hardware upgrades to the units to resolve RFID token scanning. 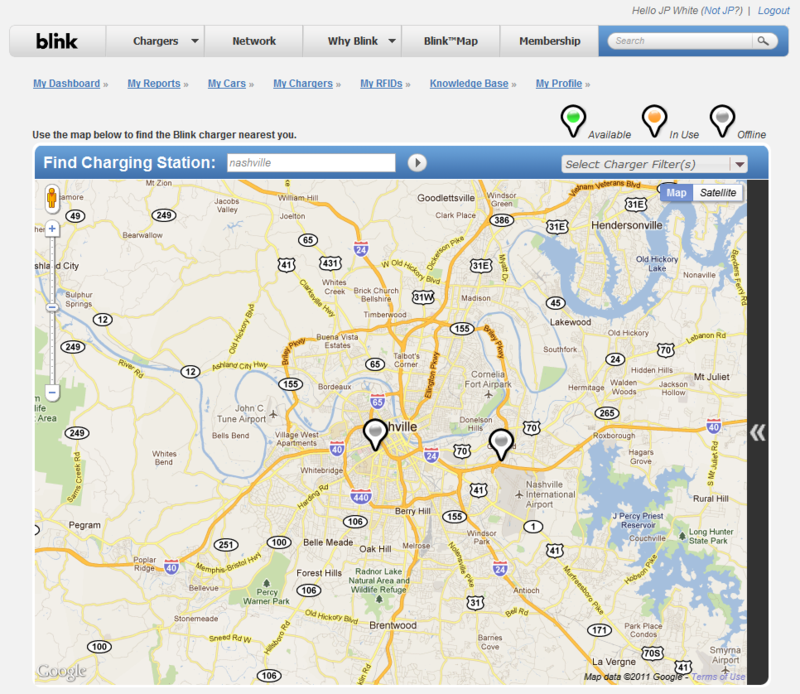 The above statistics refer to just the Blink Network of charging stations in the greater Nashville area. If one adds Eaton, Chargepoint and GE chargers, the number quickly climbs over 60 charging stations available. Once the EV project funds run dry later this year, the expansion in the Nashvile area is sure to slow, but hopwfully as a crop of new fully electric and hybrid electric vehicles become available, the growth of EVSE’s will continue in Nashville. The USA HQ of Nissan. Tennessee has the heaviest concentration of chargers in the whole of the USA, we are blessed as EV drivers. The map below shows heavy concentrations of EVSE units in the EV Project launch states, which is closely linked with Nissan LEAF launch states as well. 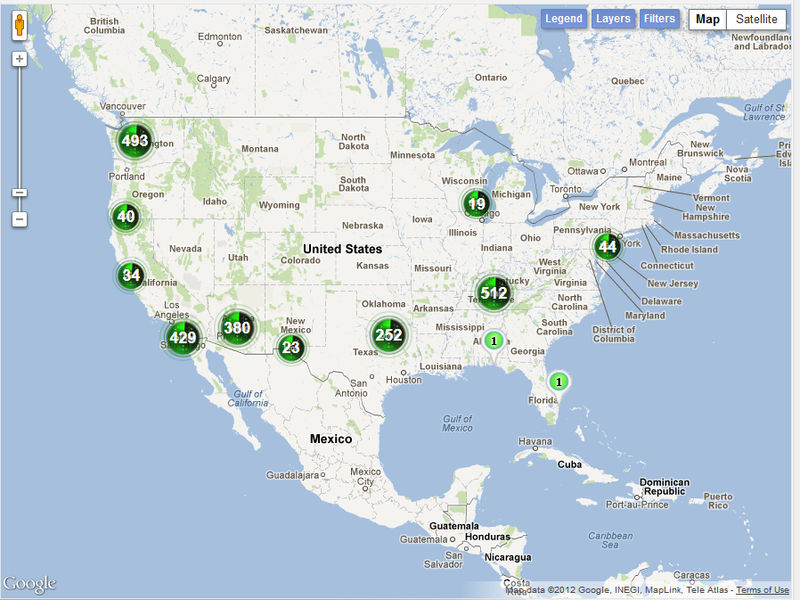 Tennessee has more EVSE charge points than even SoCal and The Pacific NW! This entry was posted in Blink, ChargePoint, Electric Car, Level 2 EV Charger, Level 3 EV Charger and tagged cars, EV project, hybrid electric vehicles, nissan, Pacific Northwest, Southern California, Tennessee, transportation. Bookmark the permalink.